Herefordshire Council has agreed to extend the time frame for the Hereford Library Users Group to formulate their proposals for the refurbishment of the library and museum building. The group has been campaigning for many years for a better library facility for Hereford and proposals include transforming the building into a centre for recreational, public and cultural services. In December, the councilâ€™s Cabinet committed to work with the users group as they come up with future options for the library building, which also houses the Museum and Art Gallery and the Woolhope Club. Since then the users group has been engaged in extensive consultation to find out if a major redevelopment is possible and feasible. This included a public meeting where overwhelming support was expressed for exploring a major improvement scheme to turn the building into a cultural centre for Hereford. A report on the initial options for the future operation of the museum service, based on a recent independent service review, will be discussed by Cabinet this month. The report is available on the Cabinet agenda webpage. 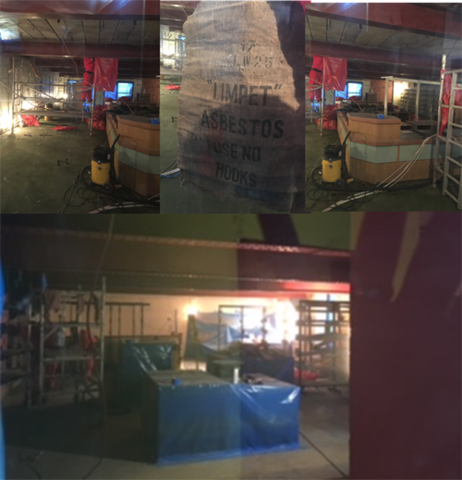 Work to remove the asbestos is under way by Hereford Asbestos Services and itâ€™s anticipated to be completed later this month. Itâ€™s a pretty dire outlook for the Broad Street library and museum, which has been shut for eight months because of an asbestos scare, even with campaigners working on plans to redevelop the site into a â€˜cultural hubâ€™. Here's the latest." I saw electrical contractors entering the library yesterday. Not working but preparing plans or quotes at least. I am glad someone has seen something happening even if it is someone going to give a quot. I have been past it a number of times and it now looks completely abandoned and no contractors anywhere near it for months now. I thought the council were just hoping we had all forgotten that we used to have a library and museum in central Hereford. The Council has a legal obligation to provide "'a comprehensive and efficient library service for all personsâ€™ in the area that want to make use of it." Anyone think the current arrangements make the grade? Hereford Library will reopen on Tuesday 31 January 2017 following the phase one completion of building work at Broad Street. Further work on the development of the building will follow. Customers can look forward to a refreshed ground floor interior, including new meeting rooms and accessible public toilets. The county library will also welcome WISH (Wellbeing Information and Signposting for Herefordshire) which will operate from the main library when it reopens. The temporary library at Hereford Town Hall will close on Saturday 21 January to enable the move back to Broad Street. Customers can use the Town Hall drop box to return library items during the period of closure. Maybe they've realised that you can't make a plausible bid to be City of Culture without a fully-functioning Library? It will be great to be able to go in and browse the books again.